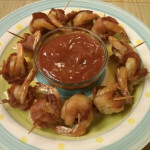 Bacon-wrapped Shrimp make a delicious appetizer and are so, so easy to make… Tender shrimp, crunchy water chestnuts, bacon and some spicy cocktail sauce… Your mouth watering yet? 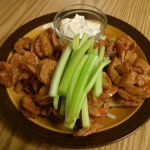 This Buffalo Shrimp recipe was inspired by all those Hooters Buffalo Shrimp I have eaten. Serve with Blue Cheese & Celery on the side and you have a delicious appetizer. 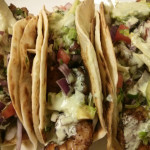 Spicy Grilled Shrimp Tacos are sweet, spicy and easy to make any day of the week. Serve with Mexican rice & black beans to make it a complete meal. 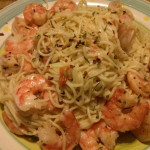 This Garlic Shrimp with Angel Hair Pasta recipe is nutritious, delicious and easy to make. 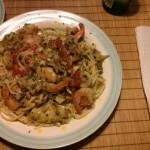 Just saute shrimp and veggies, toss with buttered pasta and serve with some of your favorite crusty bread on the side. 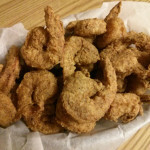 This Cajun Fried Shrimp recipe is Cajun cooking at its simplest. Serve them with some Red Beans & Rice along with an ice cold beer and you have a delicious meal. 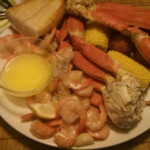 This Snow Crab and Shrimp Boil recipe couldn’t be easier or more festive. Sweet, spicy one-pot dish that can be made year round. 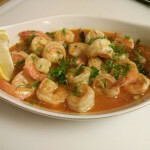 Gambas Al Ajillo (Garlic Shrimp) is a very popular Spanish dish often served at tapas bars in south and central Spain. This dish can also be served as an entree by increasing your portion sizes. Shrimp & Artichoke Linguine is a light and delicious pasta dish for all of those shrimp lovers out there.